Candy Free Easter Eggs – Last Minute! Soooo… did you forget about your child’s Easter Egg hunt at school? Because I sure did. Woops. But Fear not, my Stickelberry friends, I am here to save the day with a quick and easy last minute solution.There’s still time with Prime! In about 5 minutes I found everything, ordered it and had it shipped to my front door in less than 2 days. Boom. My dear, dear friend, Amazon Prime helped me with the FREE two day shipping part. In our house, the nominal fee is SO WORTH IT. If you shop online regularly like we do (because, you know, kids…) you know the value of free shipping, and how pleasant and convenient it is to receive things quickly. Not to mention, we often find the best deal and value on Amazon as well… so if you haven’t tried Prime, do it! Free 30 Day trial right here, baby! 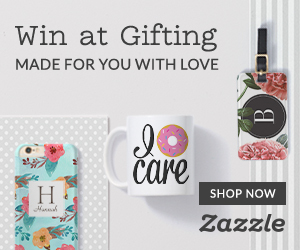 Order your heart out – I get my baby formula, many of my beauty products, gifts for the kids that are hard to find, even clothes and shoes from Amazon. It’s rad. And they offer all kinds of streaming — music, movies, tv shows, etc. Anyway enough about them – let’s get to the eggs, already. I wanted to be the super cool mom and send Logan to school with some really awesome eggs, like these cool silly putty eggs, or these play dough eggs… but I need 24 eggs, and both would have been a little over my budget this time around. Maybe next year? What I do know is this: kids love stamps. They LOVE stamps. Everyday when I pick up Logan at school there is a lineup at the front desk where the ever-so-lovely Ms Cherine lets the kids do stamps and stickers before they leave. I think it’s Logan’s favorite part of the day! Last year we did bubbles and stickers, so this year we are totally doing stamps and stickers! I know the stickers aren’t necessary, and that any child would be stoked to get just the stamp, but how cute are these little guys? And so handy to come on a roll, all easy to cut up and stuff? So, I hope I helped you out or at least gave you an idea of where you can find some GREAT Easter Egg fillers! *Yep, I’m an Amazon Affiliate, and proud of it! I order from Amazon weekly and it has been a lifesaver for this tired and exhausted Mama! 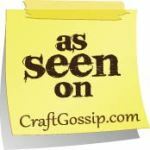 This entry was posted in Craft & Decor Love, Everything, Gift Ideas, Just for Fun, Kiddo Love and tagged amazon, basket, candy, candyfree, DIY, easter, egg, eggs, family, fillers, free, hunt, kids, no, no candy, nocandy, online, prime, school, shipping, stamps, stickelberry, stickers, stuffers, toddler, toddlers on March 27, 2015 by Danielle Stickel. Candy Free Easter Basket, Eggs & A Gift Idea for Teacher! This guy LOVES Thomas. It’s all Thomas the Train, all the time. Sadly, I know all of the character names, all of the songs, and every movie in existence right along with him. Such is the life of a toddler mom! So, when it came time to put his Easter basket together, I HAD to put some Thomas goodies in there. The Easter Bunny couldn’t mess that up, right? So using my super-sleuth shopping skills I found a plethora of Thomas goodies at Target to fill his Easter Basket with. We live by the beach and spend many days there throughout the year so the trunks, rash guard and sunglasses were a must. I realize the Cars socks from the One Spot don’t exactly fit with the theme, BUT the kid has another, yet slightly less, obsession with McQueen. Some movies, a book and some containers filled with stickers to finish it up. I just shoved it all in a big yellow bucket with some tissue paper. Easy Peasy. Yeah, he totally rocked the Thomas gear. I wonder what he will be into next year? Logan’s school has a no-candy policy for their Easter Eggs so I decided on bubbles and stickers. What toddler doesn’t love bubbles and stickers?! I found this cool set of eggs with a handy-dandy giant carrying egg at Target, along with the bubbles and the pad of stickers. I cut up all the stickers – – make sure you’re comfy, this takes a while. And we’re ready to go! What are some other fun little candy-free things to pack into these eggs? Some of the things Logan got from his friends: Temporary tattoos, shaped crayons, and those parachute men! Target always has the greatest things in the One Spot (the dollar bins!). I found these adorable tin baskets and post-it notes and thought they would make really cute gifts for the teachers at Logan’s school. Of course, I added some chocolate and a Starbucks gift card… had to make it worth their while! I wrote their names using a Sharpie paint pen, and added a cute little tag to make it complete. What are some other good gifts for teachers? Share your ideas! Something like this can really be gifted at any time — like teacher appreciation, valentine’s day, end of school year, christmas, etc. This entry was posted in Everything, Gift Ideas, Kiddo Love, Mamahood and tagged appreciation, basket, boy, boys, bubbles, candy, candy free, candyfree, chocolate, easter, egg, eggs, gift, hunt, kids, no, nocandy, preschool, stickers, target, teacher, teachers, thomas, toddler, train on March 20, 2015 by Danielle Stickel. So, thanks to the creative and uber cool Craftypod, I was lucky enough to join the Plastic Canvas Blog Hop in 2014. I had never worked with plastic canvas before, so I was excited to take on the challenge and try something new. I came up with this little notepad & pen holder that I made for my favorite niece (I only have one niece, so of course, she’s my favorite!). I used pink and black because, well, HELLO – it’s obviously one of my favorite color combos! Read on for supplies and tips and such… I found the following video tutorial on you tube SO SO helpful! It taught me how to start with the yarn and needle, and how to join my pieces together. This how-to guide is also a great place to get started. So now the fun part — fill up them there holes with pretty thread! I played with different stitches after checking out this basic how-to guide. And I totally wasn’t joking about doing this on the couch while watching TV… I was, by the way, hugely pregnant during this project and on limited activity! Add paper, pen and other cute desk accessory essentials, and wrap it up! Check out some of the other PC Blog Hop projects here! This entry was posted in Craft & Decor Love, DIY Love, Everything, Gift Ideas, Handmade Love, Tutorials and tagged accessory, craft, crafty, craftypod, desk, DIY, holder, note, notepad, office, pad, pc, pcbloghop, plasticcanvas, tutorial, yarn on March 20, 2015 by Danielle Stickel. Resurrecting this post from the pre-hacking days! A free printable for you to add some spring to your decor — Just click, print and frame! Click to download and print your own! This entry was posted in Craft & Decor Love, DIY Love, Everything, Paper Love, Printables and tagged cute, decor, decorate, design, easter, fireplace, font, frame, free, mantle, print, printable, printout, spring, stickelberry on March 18, 2015 by Danielle Stickel. 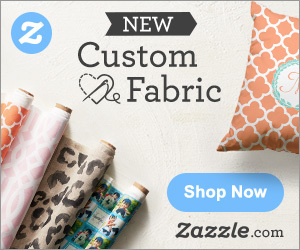 I have all of this beautiful fabric from Zazzle to play with now (read about it, here! ), so my creative juices are definitely bubbling! I think it’s the months and months and months of not having any free time or willpower (or sanity) to make things that has my creative brain screaming for some activity. Oh, babies. I really like the cotton twill fabric — it’s perfect for totes, clutches, curtains, pillows and other home decor items. But seriously, PILLOWS! I do love me some pillows, as they are the quickest and easiest way to change up your decor and bring a fresh new look into your room. Want some color? A pillow here, a pillow there and POW! Whole new house. Thus, my Stickelberry friends, I present to you, the easiest way to make a removable (and washable) cover for a pillow! This is an easy project, perfect for beginners! *I like a loose cover on my pillows so I can smash them — if you like a tighter fit, simply up your seam allowance on all sides and cut off the excess. You can also go back and round the corners if you don’t like them pointy. **If you DO plan on washing your covers eventually, then DO pre-wash your fabric, please! Otherwise you may not be able to shove that pillow back in again. 1. Start by laying your fabric out, right side down, and placing your pillow in the center. I’ve folded one edge to the middle so you can see..if you fold both sides over the pillow, they will overlap significantly since you added 8-10 inches to the length. This is a good thing. 3. Then fold again and pin. 4. Repeat on the right side, fold in an inch, fold again and pin. 5. Take the fabric to the machine and sew down each edge, back-stitching a few times at the top and bottom. Use whatever seam allowance you’d like as long as you’re locking in the fold. 6. Doesn’t that look nice? Now Go do it on the other side, too. 7. After both edges are sewn, lay out your fabric again, but this time right-side up. 8. Fold both edges over so they overlap and the fabric is as tight as you want it around the pillow, and pin at the top and bottom. 9. Slide the pillow out and re-pin to include the bottom layer of fabric that was under the pillow. 10. Back to the machine! Start at the top and sew all the way down to the bottom, pausing for some back-stitching where the overlap is along the way. I’ve placed my hand where the overlap is — be sure to sew all of the layers together. 11. Repeat on the other side, remember to back-stitch where the overlap is to reinforce. 13. Turn your pocket of goodness right side out, use your poker of choice to poke out the corners (I totally use chopsticks). Turn your happy little cover right side out! 15. Shove your pillow in! Happy pillow in the happy pillow cover! That’s it — pretty easy right? This entry was posted in Craft & Decor Love, Decor, DIY Love, Everything, Fabric Love, Handmade Love, Sewing, Tutorials and tagged beginner, cover, decor, easy, envelope, fabric, handmade, house, instructions, pillow, sew, sewing, sham, stickelberry, tutorial, zazzle on March 12, 2015 by Danielle Stickel.